"Meyerhold's career as an actor and director began in 1890 and lasted until 1940 when he was murdered by Stalin's secret police. It spanned the birth of classical semiotics and continued through the articulation of the Prague School. 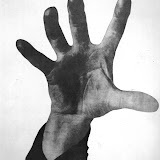 While the semioticians developed their notions of sign systems, Meyerhold was crafting a practical schematic semioliogy of performance that ultimately undercut the comfort and accessibility of iconistic sign interpretation. 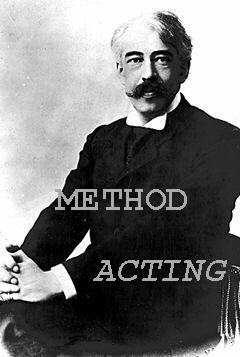 Meyerhold greatly enriched the theatre by increasing the complexity and multivalent quality of performance, but in doing so ironically threatened the entire project of theatrical semiotics. By challenging the foundations of the iconistic theatre, Meyerhold insisted on the development of a new means of interpretat ion--hieroglyphs and a new means of performance--foregrounding that undermined the audience's shared ability to decode the theatrical event." Keir Elam considers Meyerhold's system of biomechanics to be an ideolect that represents a kinesic style. An ideolect is a subcode that is associated with a personal aesthetic or the style of a particular artist (Elam, 55). Ideolects complicate the process of code breaking because the spectator must be trained to recognize and decode the inherently idiosyncratic nature of an individual's style. The ideolects of Chekhov or Strindberg--what we now refer to as the Chekhovian or Strindbergian styles--are relatively easy to decode because both are outgrowths of Naturalism. Beginning with Meyerhold and particularly with later artists who emulated him, however, the process of decoding becomes ever more challenging because these artists are self-consciously anti-paradigmatic. Schematic signs, which by definition contain multivalent meanings, become even more opaque when compounded by ideolects of the playwright, director and actors. Meyerhold and, later, the German Expressionists, took classical texts and contemporary works and imposed upon them a series of ideolects that affected textual organization, the physical stage space, the mode of interpretation, and the manner of enactment. The results were productions that were hailed as theatrically brilliant, but jarring, unsettling and difficult to comprehend. This process of unraveling and diminished accessibility was accelerated by Antonin Artaud and the score of theatre practitioners from Jerzy Grotowski to Peter Brook and Robert Wilson who embraced and championed his ideas. Artaud rejected the ideolects of Meyerhold, the schematic theatre of the expressionists and the epic theatre of Brecht because he believed that they were merely reactions against the prevailing paradigm. Artaud, in contrast, sought to destroy it by rethinking the entire enterprise of theatrical representation. In Symbolist theatre, the text is mediated by the director; additional levels of meaning--or rather semiotic layering is added. In Meyerhold and later Brecht, the text is foregrounded by performative elements that draw attention to the theatrical event as an artifice. Antonin Artaud, however, took the process a gigantic step forward by negating the text. The text is no longer a secondary or even a tertiary element. Theatre, according to Artaud must be a language in space and movement--a language of symbols and signs that exists in performance without having to pass through or be mitigated by words. Words are simply a variation of human noise--just as screams, grunts, moans, sighs, cries, yelps are also vocal expressions. These expressions are combined with gestures, signs, dance, other movement, lights, colors, and costumes to form ideograms that convey meaning directly to the unconscious receptors of the audience. Artaud theorized that all conventional Western theatre--from Aeschylus to Brecht--was based upon rational discourse--that an agon--an argument--was the basis for all dramatic representation. Artaud rejected this as a perversion of the original intent of theatre in the pre-classical period--when theatre was a religious and mystical experience. He insisted that in the violent and irrational times in which we live (in Artaud�s case between the two world wars) that such rational discourse was an obscene artificial construct full of "falsehood and illusion" that was "an outlet for our worst instincts." The so-called masterpieces of the past, according to Artaud, were also irrelevant to our present condition and "veneration for what has already been created petrifies us and deadens our responses." Artaud was an early member of the Surrealist movement and though he eventually parted ways with the group, he remained a firm proponent of much of its philosophy. He sought to create a new form of theater that would be immediate and direct; that would be understandable to all; that would deal with irrational states of being and understanding. Artaud proposed that new acting and directing techniques be invented that would create a direct link between the unconscious minds of the actors and the unconscious mind of the spectator. The role of the audience at such a performance would be radically new. The audience would experience a performance as a ritual event; as a group, they would surrender themselves and live through a transformative religious and mystical exp erience. Artaud proposed the creation of a Theatre of Cruelty that would draw on the collective myths and dreams of all men and women rooted in our darkest fantasies of eroticism, violence, murder, and even cannibalism. The performers would sacrifice themselves by enacting these events on a visceral level. Because the performance would be irrational and would impinge directly upon the senses and unconscious, this would truly be theatre for the people--all people regardless of their economic status or educational level. The effect of such a performance would be purgative and cathartic. The spectators would be bonded together because they would have experienced and survived collectively all the terrors of life and death. This experience would be akin to a tribal communion; a religious ceremony that would magically induce peace of mind. The audience would experience this darkness at such a heightened level that upon leaving the theatre, they would be drained of any desire to enact such brutality in real life. The Theatre of Cruelty would therefore cure society of the evil currently pervading it. Artaud set forth a radical notion of how the actor should prepare and perform. The actor, according to Artaud "is an athlete of the heart." (Artaud, 133), who must "tap and radiate certain powers" (Artaud,134). These powers are located in the organs and must be liberated so that the actor becomes a mystical specter "from which affective powers radiate" The actor must become a healer; a mystical shaman who must unlock his or her own secret powers and display them to an audience. The secret of acting is breathing correctly from various parts of the body and the ability to scream and cry out at will so as "to take hold" of the audience and force it to confront its own fears and desires. From a semiological perspective, Artaud's theories are extremely contradictory. Artaud asks, nay demands, that the audience surrenders itself to the performance; that it not be allowed to rationalize or intellectualize the stage event. Instead of decoding the performance, the audience is expected to physically experience it. The contradiction lies in the fact that in order to create such an experience, the director and actors must be master semioticians capable of creating signs that will be received without mitigation. It is no coincidence that after the Second World War, when Artaud�s ideas were widely disseminated and embraced, a great deal of emphasis in theatre research included anthropological and psychological analysis. Artists attempted to create pieces that would transcend linguistic and cultural limitations; presentations, that while working on a non-verbal level, would have universal meaning. Jerzy Grotowski, Peter Brook, Julian Beck, Joseph Chaikin, Richard Foreman, Joanne Akalitis and Robert Wilson, and countless other avante-garde directors have sought to put Artaud�s theories into practice. These directors are the creators of the current post-modern avant-garde. The problem with the current avant-garde theatre, however, is its over dependence upon the cognitive level of the receiving audience. Specific meaning is elusive and even metaphoric interpretation is dependent upon cultural experience. Perhaps the best example of this is an imagistic art piece by Joseph Szajna entitled Replika. Szajna, a Polish survivor of Auschwitz and Buchenwald created a non-verbal theatre piece that investigates the horrors of the death-camps. Replika has been performed around the world--from Tokyo to Caracas. In each city, however, the piece has been interpreted in radically different ways. In New York and in Tel Aviv, the audiences understood and decoded the deathcamp symbolism. In Mexico City and Caracas, however, the entire point of the piece was reduced to a statement about totalitarianism. Many post-modern critics look at this inherent failing as a major success�They insist that Replika should be interpreted by each audience in a manner that is culturally relevant. This is the crisis of the post-modern avant-garde that Patrice Pavis is concerned with. There can no longer be specificity in meaning; no rational discourse, and no didactic message if the intention of the author is irrelevant and meaning is solely derived in the reception of it. Theatre can no longer be an arena where the great social issues of the day can be debated. The enterprise under these circumstances is reduced to a purely physical, visceral and sensual experience. It is no mere coincidence that many post-modern theatre pieces are now being mounted in fine art museums such as the Guggenheim. This bellwether change in theatre aesthetics, initiated by Meyerhold, championed by Artaud and completed by his successors, threatens to undermine 2,500 years of theatre history. I concur with Pavis that a new paradigm must emerge--either in semiotics or in theatre creation that will rectify this current disjunction between intention and meaning. Artaud, Antonin The Theater and its Double. Translated by Mary Caroline Richards. New York: Grove Weidenfeld, 1958. Aston, Elaine and Savano, George Theatre As Sign-System. New York: Routledge, 1991. Leach, Robert Directors in Perspective: Vsevolod Meyerhold. New York Cambridge University Press, 1989. Pavis, Patrice Languages of the Stage New York: Performing Arts Journal, 1982.